When giving something to someone, say as a gift, it is essential that you attach something that indicates who the sender is. 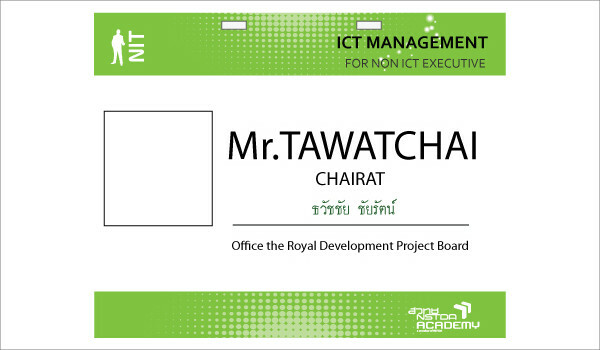 A tag is label that is attached to someone or something that serves as a tool for identification or to basically give the receiving party information. 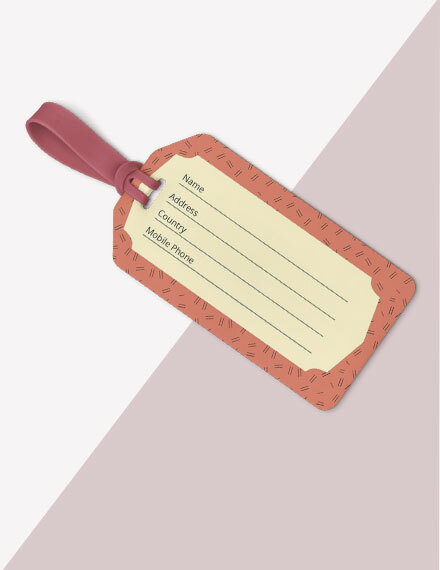 Tags are also an effective way of attaching instructions of how to carry out procedures. 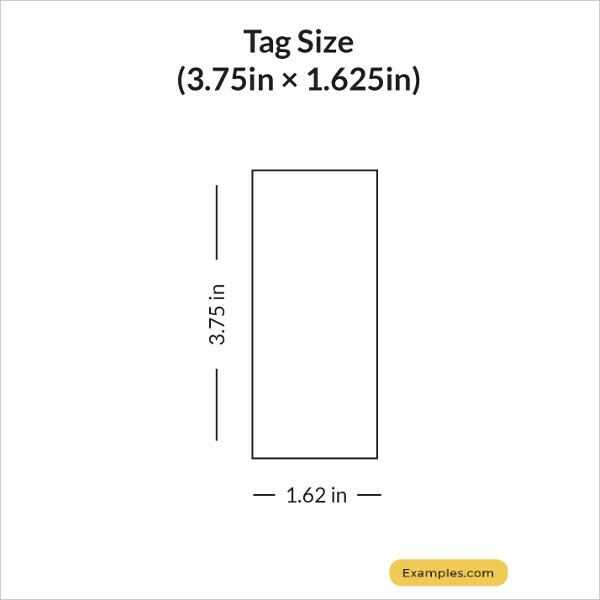 Depending on your intended purpose, tags are mostly cost-effective tools that can communicate the information you want your receiver to know and understand. 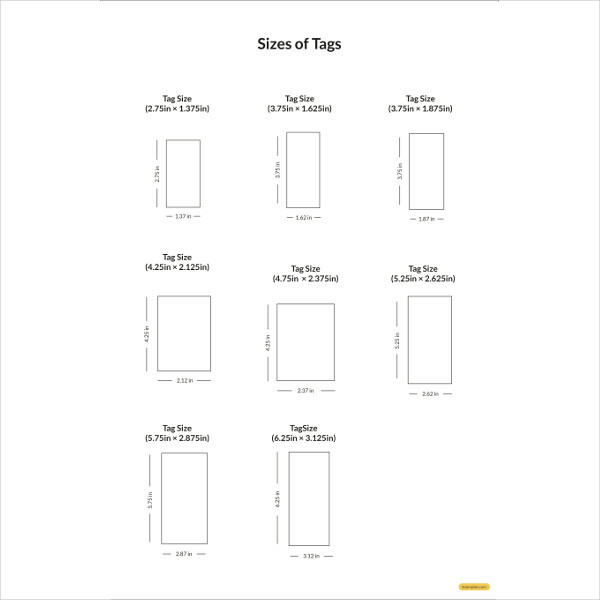 With that, let’s us go deeper and understand the basics about tags. Clarity: There must be clarity in the design and content of a tag. When following theme for a design, it must be clear and cohesive. With regards to the content, it should be made clear what information you are trying to convey; make it clear and direct if you are saying your thanks, sending well wishes, giving instructions, and so on. Brevity: The content written in a tag must be brief and direct. Since a tag is generally a small piece of ordinary or decorative paper, the words or information that you want to convey must brief enough to fit the size of the paper. And with the limitations that comes with the design or layout that you like, you might need to limit it to just a few words. Balance: There should be balance between your design and content. If you have a minimalist design, make sure your content is also just enough to balance it out. If you want to have more aspects in your design, make sure you stick with the minimal with your content. 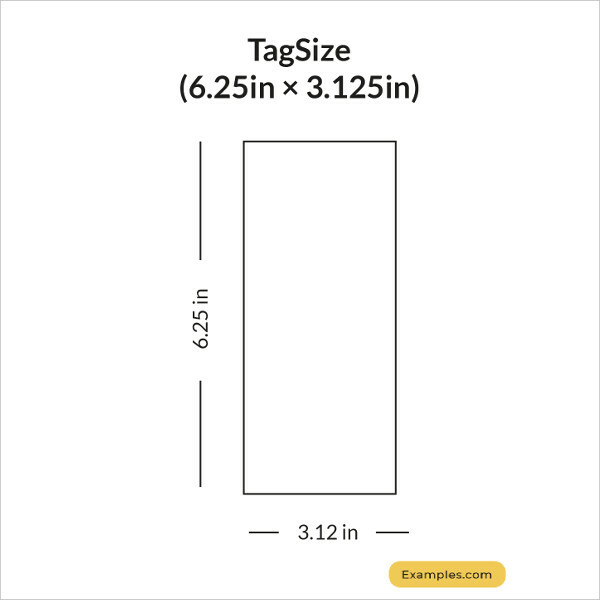 Space: Providing enough space for your design and words to be emphasized is needed in a tag to ensure your receiver is not overwhelmed with both aspects of a tag. Space is important so words don’t get mixed up and so that your design can peak through. 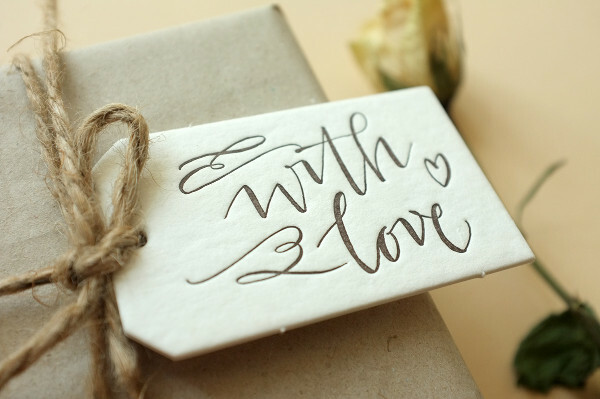 Creativity: This element is very essential when you use a tag for events that require intricate designs and decorations. A tag should exude creativity from the way it is designed, how the design is translated into paper, how balance is achieved, how letters are written, etc. Step 1. Start your DIY project by cutting your thick paper or any paper-like material to use as the main component of your tag. 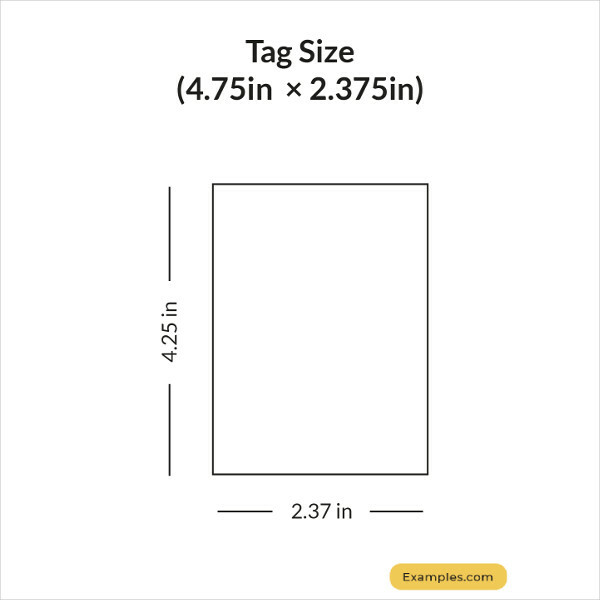 You can cut out whatever size you may need, depending on the size you are supposed to attach your tag. After cutting it into a rectangle, snip two of its corners to make it into a traditional tag shape. Step 2. 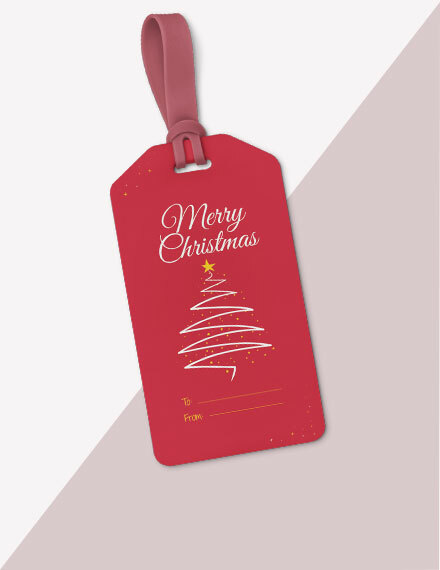 After cutting your paper into a standard tag shape, use a hole puncher to punch a small hole in the top portion of your tag. If you want to be extra, you can add stickers with a hole-like shape to cover or ornate your hole. Step 3. With the colorful washi tapes that you have, cut them into small shapes. You can cut the tapes to resemble a flower, a cloud, a house, and so on depending on what you want to put into your tag. If you don’t have washi tapes, colorful construction paper will still work, just add adhesive to stick it on the tag. Step 4. 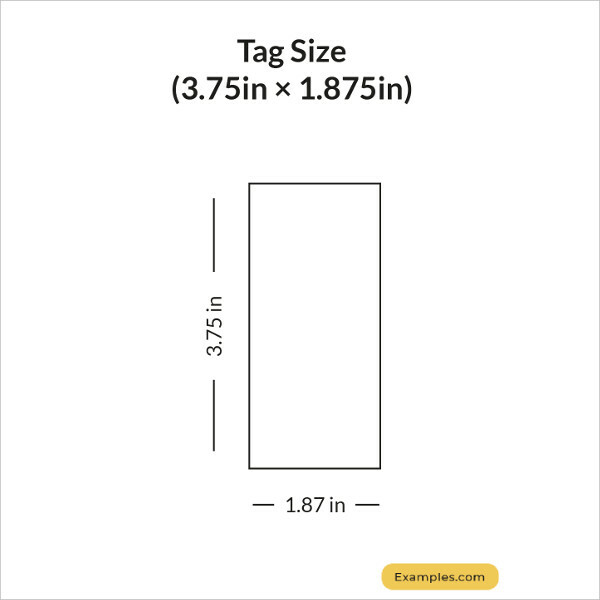 After laying out design and adding them onto the tag, you need to write the message you want to include in the tag. It is important that you write it out legibly so that the person receiving it can understand your message clearly. Before you begin making your tag, make sure that you have already have a theme in mind. It will be better to match the design of your tag to the theme of the event when you want to use it. Imagine various themes that matches the event and choose an image that is appropriate. A quick Google search of the the design you want will give you various options. You should add the abbreviation PNG after the words when searching, e.g. “wedding flower designs PNG,” so you can have images with transparent backgrounds. These types of images are easier to adjust in any color scheme that you may use in your tag. After finding the perfect design, you can then download the image/s that you will later use in your tag. Do not worry about the size of the images, you can easily resize them to the size you want and per what is required with Word. When you open your Word on your computer, make sure you choose the size of the paper you will be printing out your tags on. On tabs panel on the upper part, choose the Design tab, click the page border option and choose “box.” Doing this will help you avoid misprinting since you will designing under page margins. On the shapes button found on Word, select a shape that already has snipped corners this will allow you to easily adjust the size of the shape to follow the standard tag shape. After drawing it, however, the shape will be filled with color, so make sure you cancel the fill so that you can insert the image you have downloaded earlier. After drawing the shape, you can proceed to inserting the shape inside the tag. You can also just copy and paste it inside the shape. 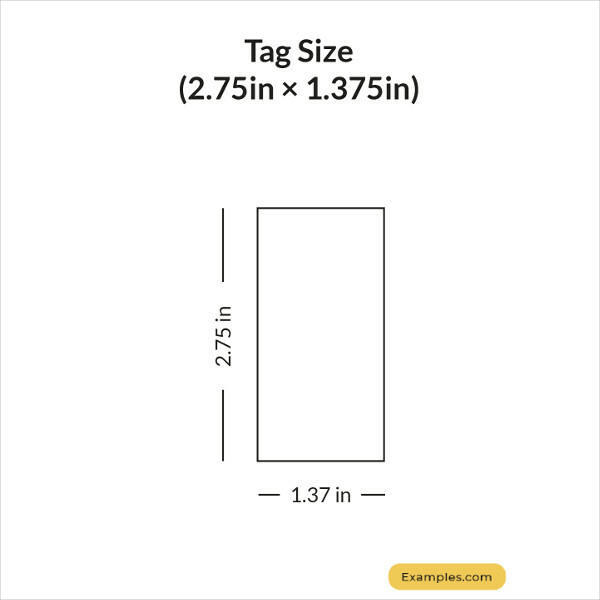 Adjust the size of the shape to make sure it fits inside the shape, otherwise, it will cut out of your tag. Just make sure you leave enough space on top to punch a hole where you can tie it. After that, you should immediately add the text that you want. If you want the tag to be minimal, it is better to just add the words to and from and an underline after each word as to indicate who the receiver and sender is. You can also just have your words blown out; for example, if you want to just say “thank you,” adjust it so it fits nicely into your tag. 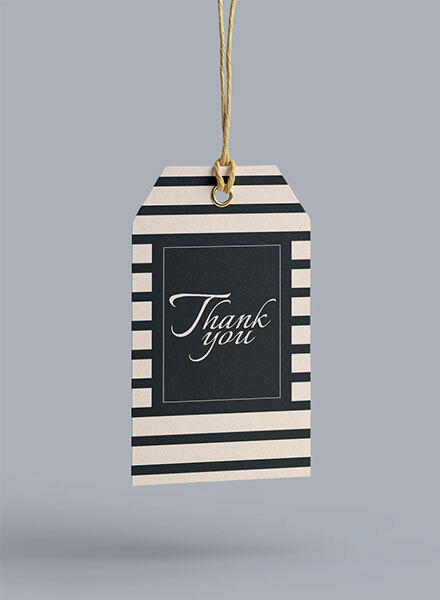 Here are some thank-you tags you can check out. After all of that, you can duplicate the first tag you made to fill an entire page with it and proceed to printing. 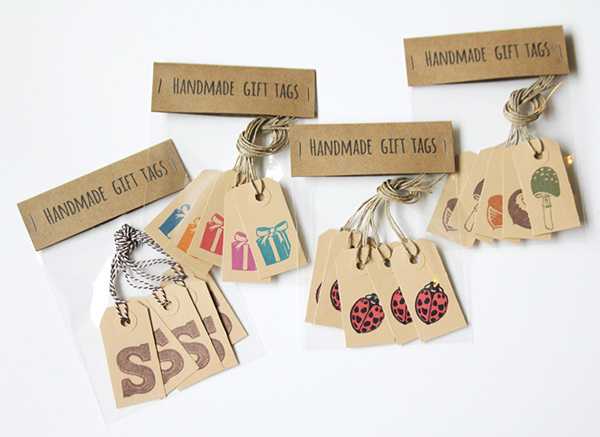 After the tags are printed, you can them cut out, punch holes on the designated area, and put a tie or ribbon. Balance your design and text. Remember to allot space to punch a hole in your tag. Make sure your theme matches the event. Choose a font and font size that is readable. Although there is a standard shape, you can go for any shape you like. 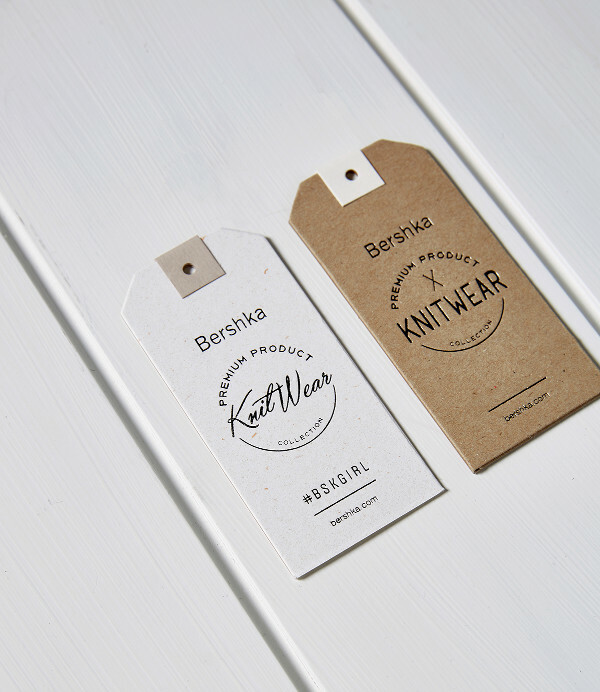 You can print tags, but it is better to write out some words for a personal touch. Choose a tie or ribbon that matches your color palette. You can always stick a tag with adhesive to what you are giving. 1. 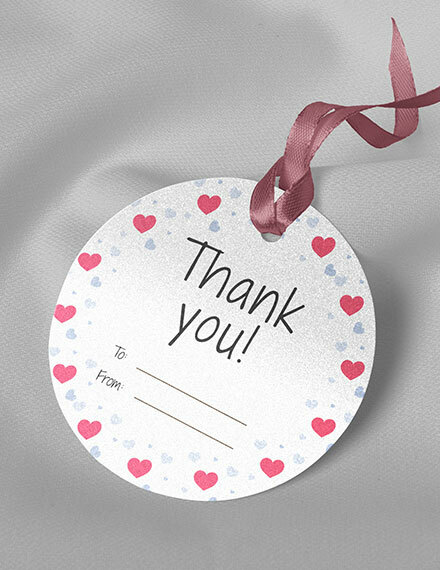 Thank you tags – These tags express your appreciation for the effort, well-wishes, time, appreciation, and so on other people offered to you. 2. 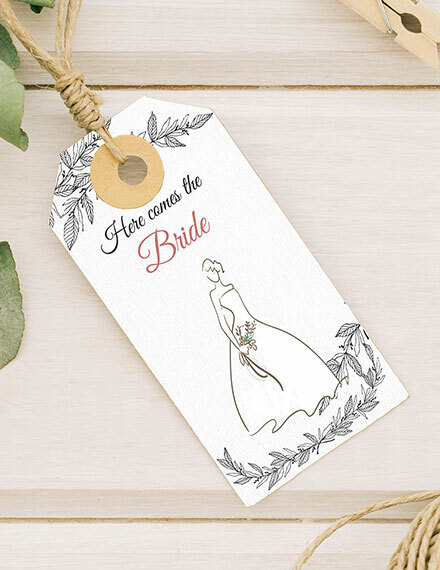 Gift tags – These are tags that you use to express your well-wishes for anyone celebrating a special milestone in their lives like birthdays, weddings, anniversaries, starting a business, etc. 3. 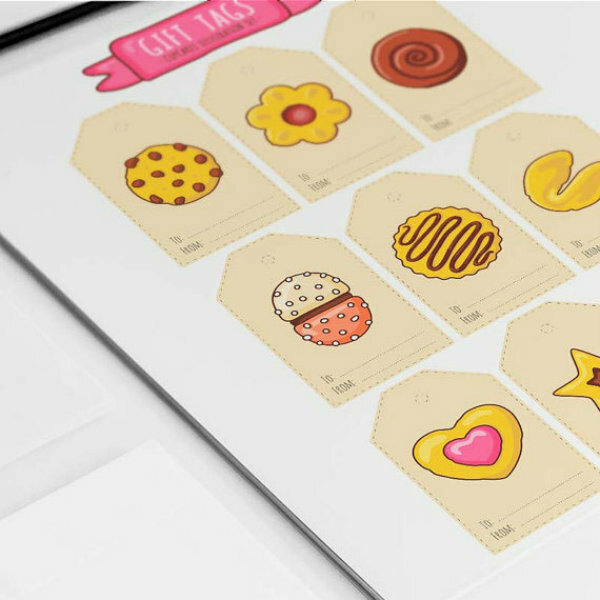 Price tags – Price tags indicate the prices of items sold by a business. It also contains the barcode for the item as well as item name. 4. 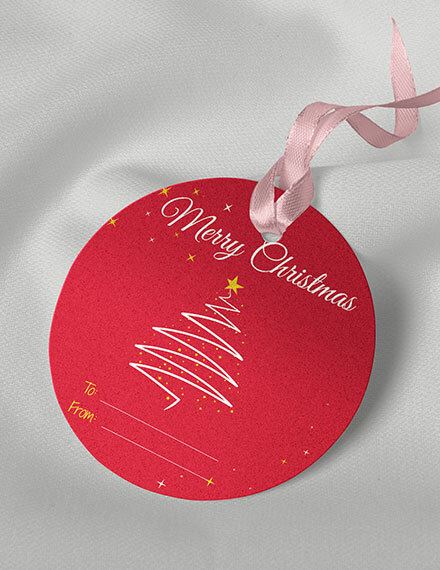 Greeting tags – These tags are somewhat like a gift tag; you attach them to presents you send to greet someone. 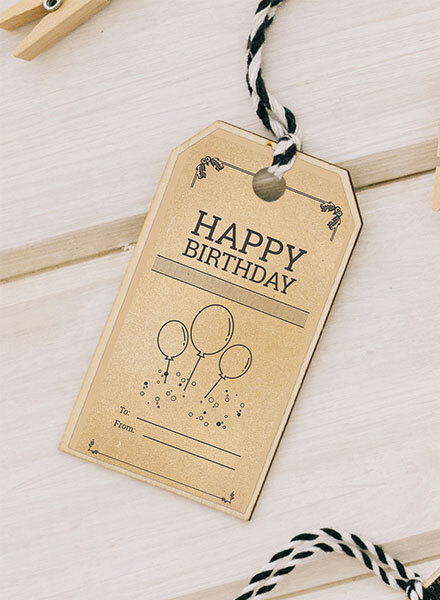 A greeting tag can be used for the holidays, birthdays, weddings, and so on. 5. 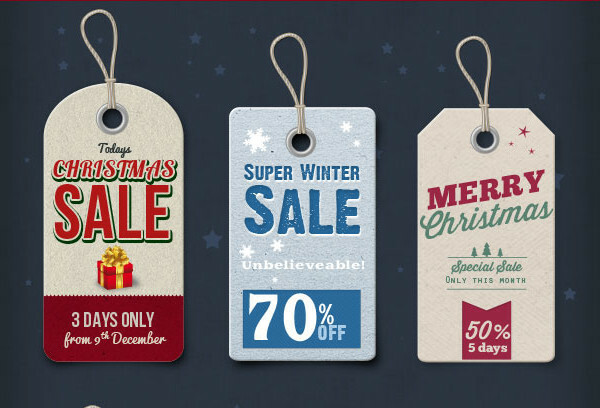 Sale tags – Sales tags indicate that an item is on sale. 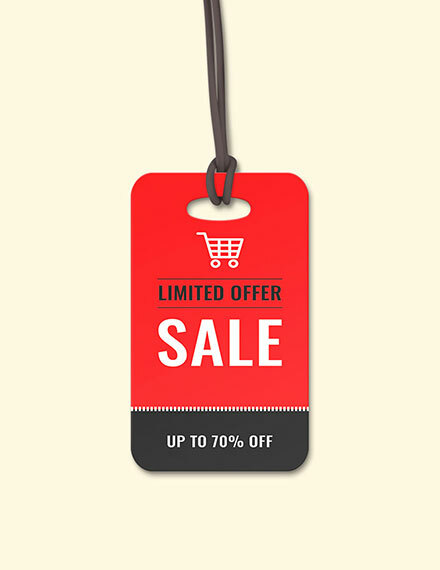 It includes the original price and the discounted or sale price of the item. 6. Event tags – Event tags are used to attach to giveaways after an event. It can be used to express gratitude as well as wish the attendees well. 7. 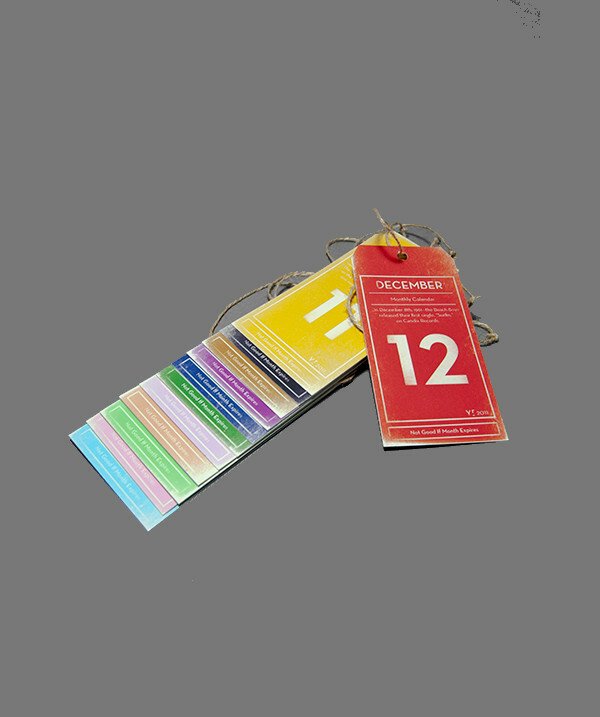 Luggage tags – These tags are hung on one’s luggage so that they can easily locate and identify their luggage. It usually contains the name of the owner and their contact information. What is a tag for? A tag is used for various reasons, but on a note serious note, it is usually used for expressing or conveying a message. 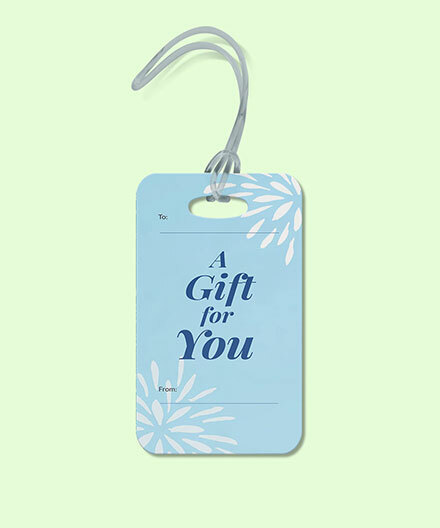 In the case of gift card, it indicates the name of the receiver as well as the person giving the gift. 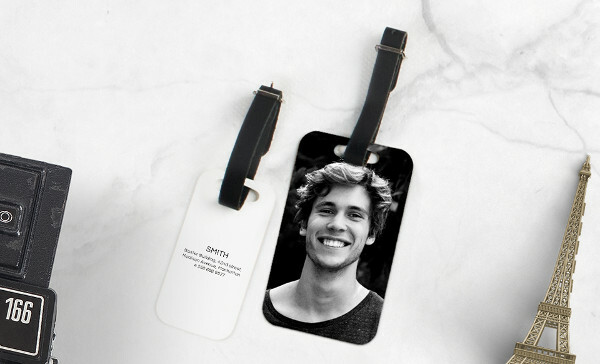 For a luggage tag, it is used as identification for the luggage owner. Tags can be used for anything. What are tags made of? 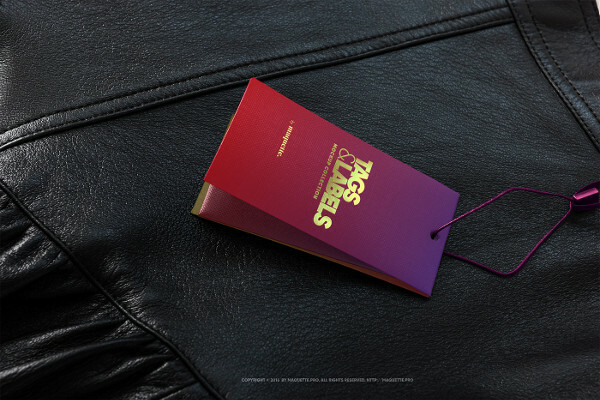 Tags are usually made of thick paper to prevent it from getting wrinkled. 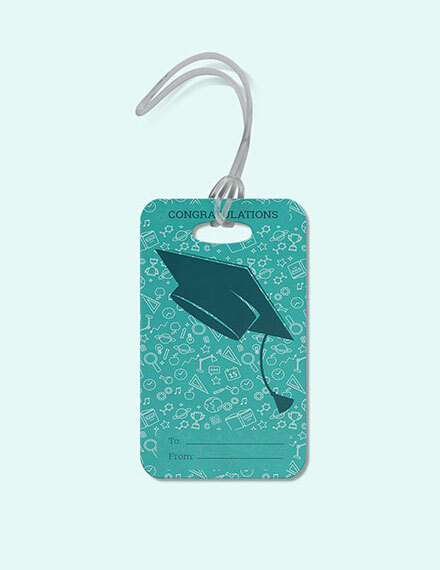 However, there are also tags that are made of plastic or acrylic-like materials. 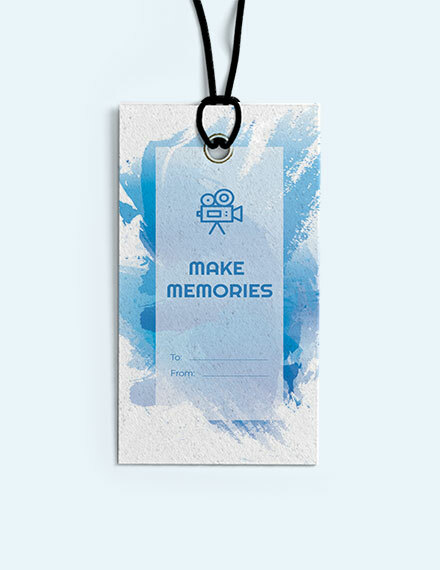 Depending on what the person making wants, a tag can be made of any durable material but writable material. How to design a tag? 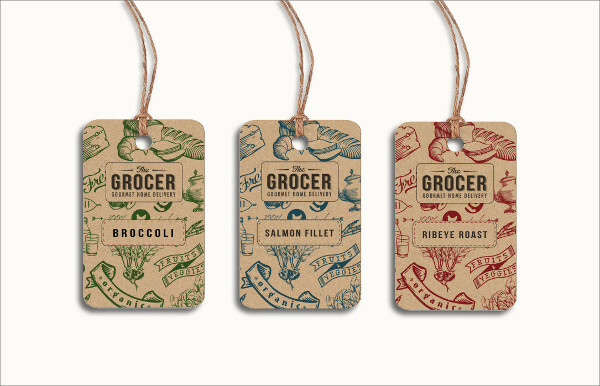 Designing a tag depends on the theme or context to which it’s used for. If you are using a tag for certain events, make sure it is appropriate and matches the theme. But for corporate use of tags, it must match the theme the company or brand. 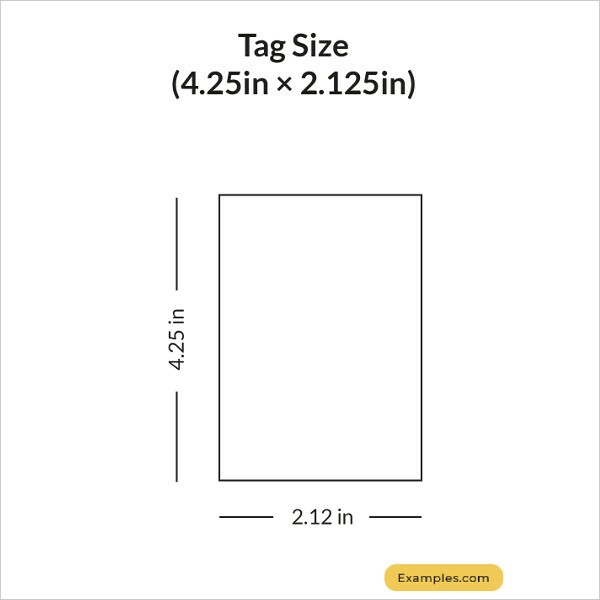 To know more about tags, you can head out and check other templates on Template.net.